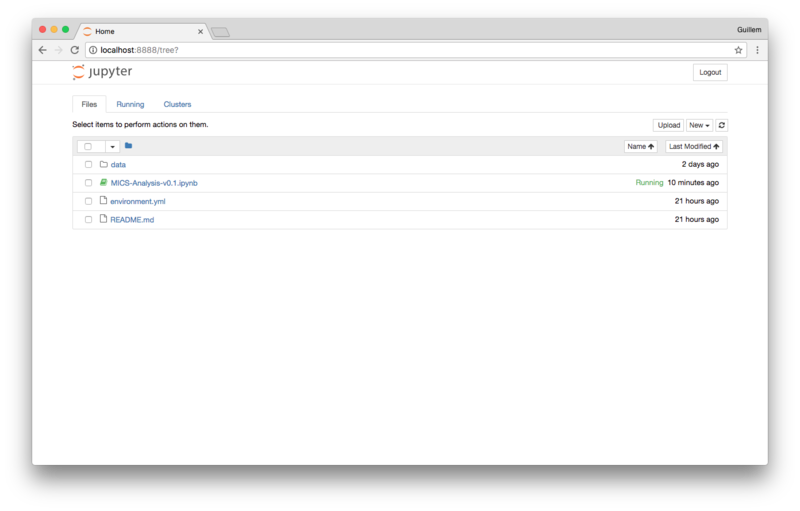 Visit Github to download the project folder or simply use git. 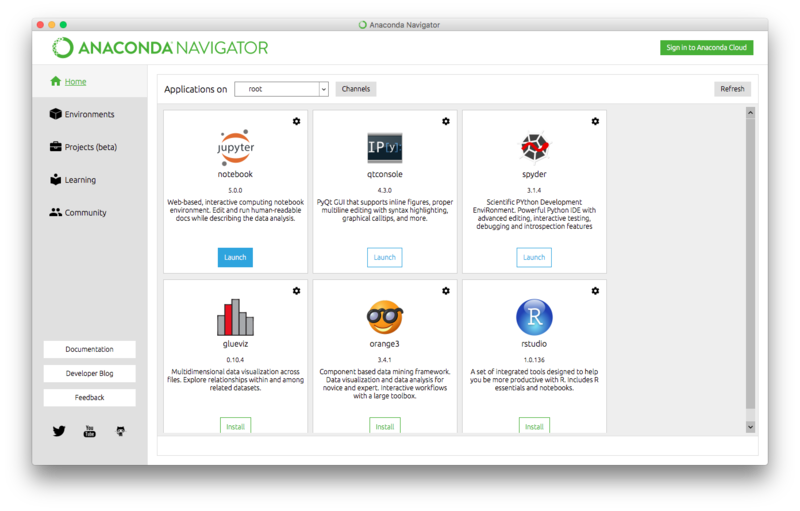 Open the Anaconda Navigator app and launch the Jupyter Notebook. Using the Jupyter Notebook website browse your computer to find the project folder. Worried about your existing Python? Do you have already a Python environment you use for other work and you are worried about updating some packages? Conda can load a dedicated environment for you to run Python and Jupyter based on the environment.yml configuration file we provide. Python is the main programming language we will use for Data Analysis. On Linux simply use your distribution package manager like $ apt in Debian or Ubuntu. Pip is the packet manager Python uses and it comes installed by default. If you have any issues you can download pip here. Jupyter Notebooks allows us to quickly learn, develop and improve our tools by providing a common convenient framework and UI. Simply run pip install jupyter on your terminal to install it. On your terminal go to the folder where tou downloaded your files and then run jupyter notebook this will open a new webpage and you will be available to run your code there.